Waterseekers WDS Ltd (a waterwell drilling company) were contacted by the club to investigate the potential of abstracting water from a borehole for irrigation purposes. Initial survey suggested possible workings at various depths and a High possibility of Iron within the underlying Geology. 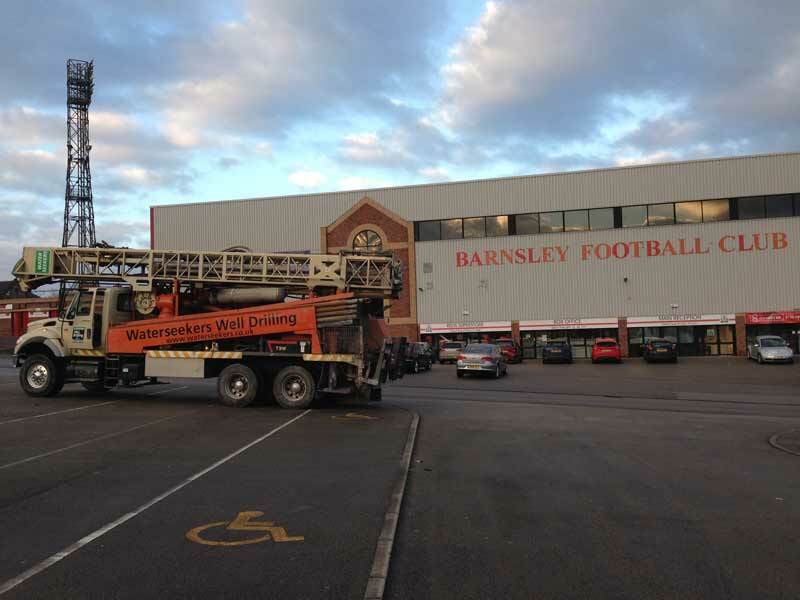 Considering all there options the club decided to progress with the works. We commenced drilling utilizing mud flushing down to 41m diameter 305mm. Flushing was lost through broken ground/suspected workings. 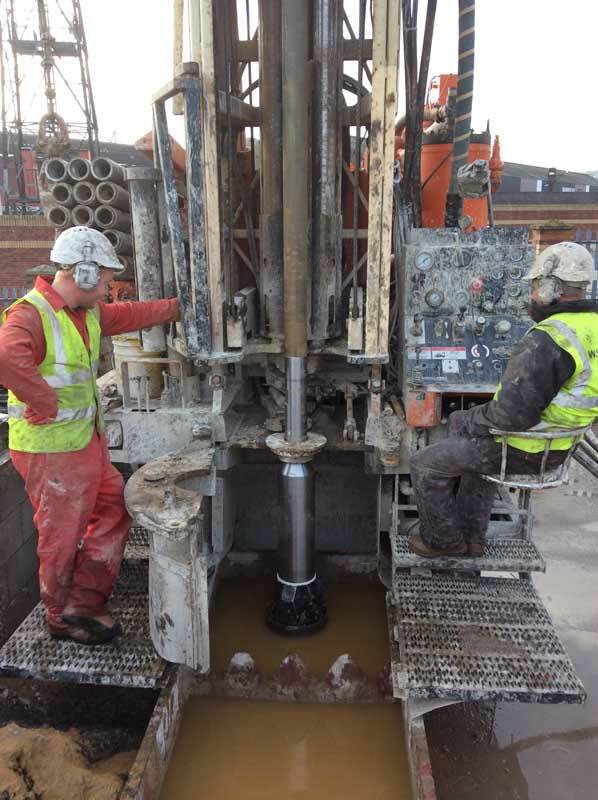 A 219mm casing was installed to 46m and pressure grouted in place, allowing drilling to progress to the target aquifer at 80m. The club required a water flow of 4 meter cubed per hr for 24hrs at Peak times through out the summer. The Borehole was test Pumped at 8m3 per hr with no depression in the Borehole.